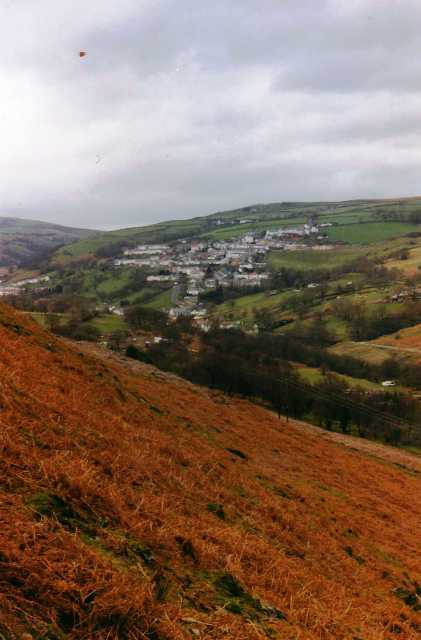 Bedlinog lies in the North East of Mid Glamorgan, high up in the Taff Bargoed Valley. 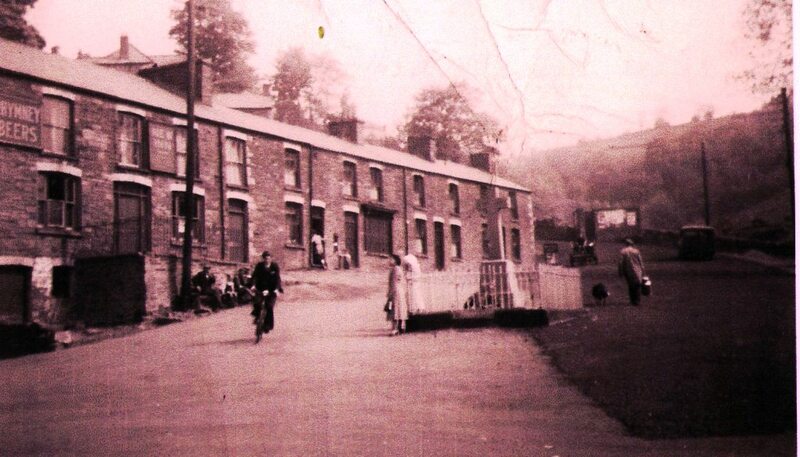 Prior to the sinking of its collieries in the 1870’s, it was small hill farming community. It was Triangular in shape, with three quite separate clusters of villages. 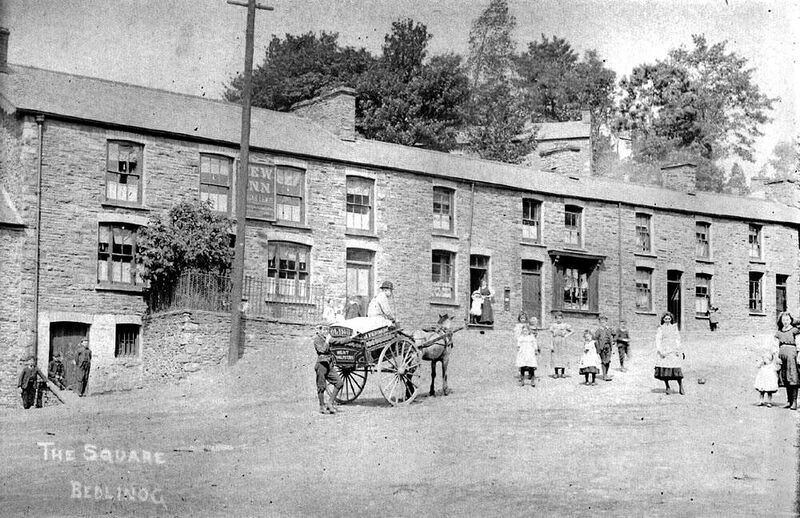 At one end of the base lay Cwmfelin (Valley of the Mill) , near where a chapel Salem (1830) was erected and where the village square and Village Inn soon appeared. About one mile away, another small settlement, known as the Coli, housed the early miners, who worked in the small drifts driven into the hillsides. 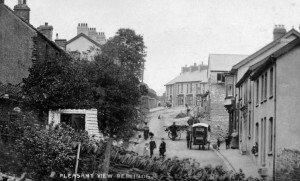 Near the top of the hill was Llwyn Crwn ( Round grove) where Bedlinog Colliery was sunk in 1874. In the years which followed Bedlinog grew into a closely knit community of miners and their families. There have been a number of suggestions over the years, the most popular being Bedd-Llwynog (grave of the fox) The area contained many a fox’s lair and attracted many huntsmen. Some have even suggested BeddLlynog ( Cynogs grave). Cynog was a 6th century Celtic saint, who lived at the same time as Saint David, Patron saint of Wales. ( The above was written by the staff and school children of Afon Taf High school 1985). 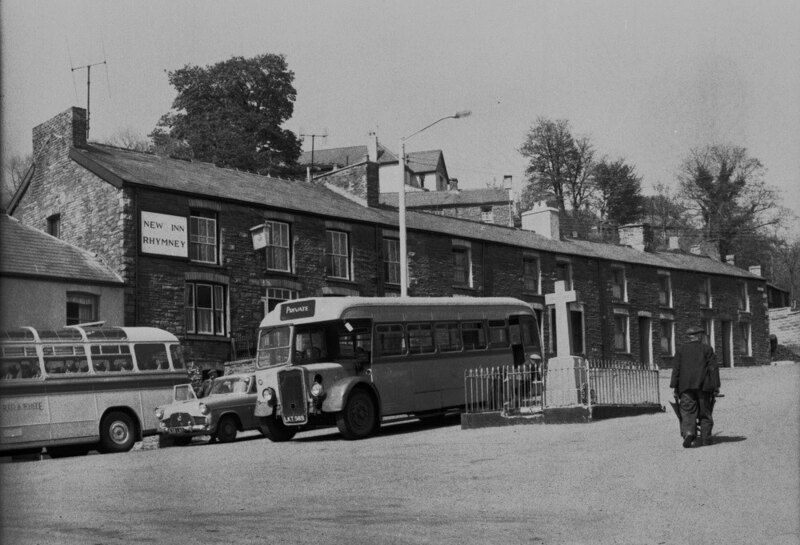 The village grew rapidly with the sinking of the pits, with the building of pubs, schools and places of worship. By the First World War the population of Bedlinog had risen to 5,000. 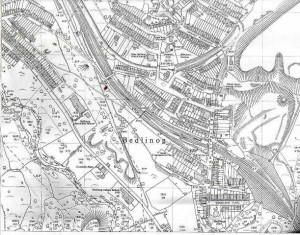 The Bedlinog Colliery was sunk in 1874 by the Dowlais Iron Company, at a cost of £131,000. It consisted of No.1 Pit (582 yards deep) and No.2 Pit (580 yards deep). The nearby Nantwen pit was opened in 1883 to increase bituminous coal supplies to the Dowlais Works. Together with the No. 8 Colly Level, they produced over 3,000 tons of coal per week. The 1920’s saw a rapid decline of the coal industry in the area, due to depletion of profitable seams, and a decline in demand. During the 1930’s, the industrial unrest at Taff Merthyr Colliery brought Bedlinog to national attention. Fighting on behalf of the S.W.M. Federation to uphold members democratic rights and defeat Company Unionism, Bedlinog was the scene of serious rioting. Police were sent from Liverpool and Bristol, and a number of local people received prison sentences. Only the deeper and more modern collieries were able to survive the difficulties of the 1920’s and 30’s. 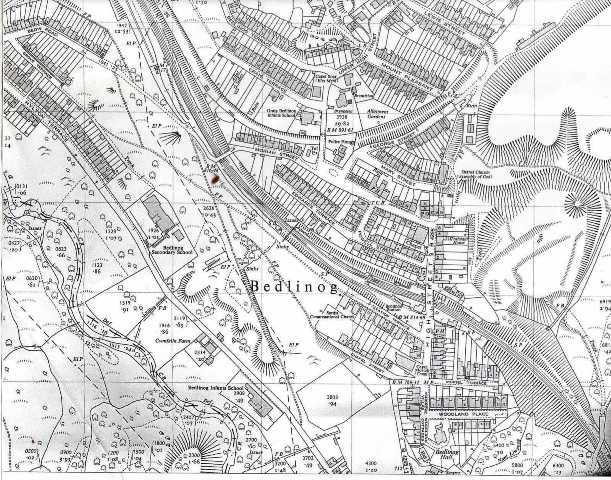 All Bedlinog collieries belonging to G.K.N. 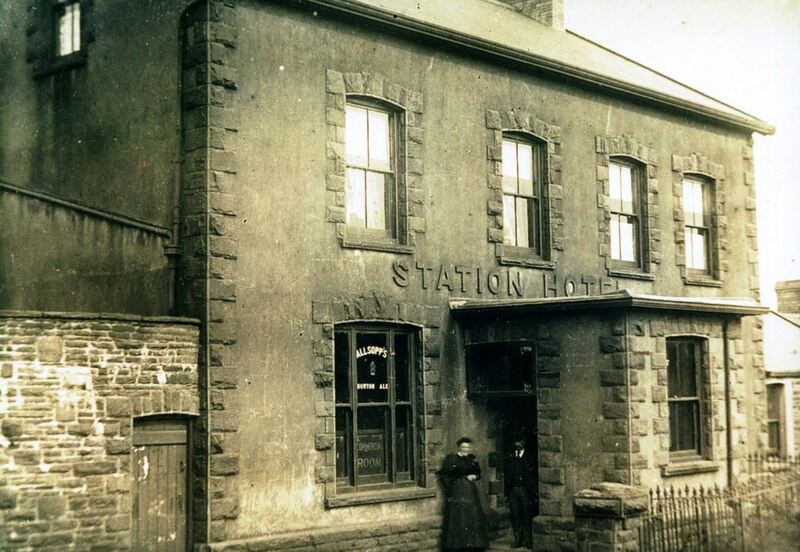 (as the Dowlais Iron, Steel and Coal Company became) were closed in 1924. Many miners found work, however, in the new nearby colliery at Taff Merthyr. Bedlinog Drift survived until 1956. During the middle of the 19Th Century, Bedlinog became more heavily populated, this was due to the new coal mines that were being opened in the village. Please go to the colliery section of this website to read about the mines that once thrived in Bedlinog. Religion played a big part in the lives of the villagers and chapels were opened throughout the village, St Cadogs church was built in 1911, but many of the chapels were built many years earlier. Please go to the religious buildings part of the website for further information and pictures. In the Sports section of Bedlinog we will try to go into more detail about the sports played in the village. Rugby Union is the main sport, but football, bowls and cricket teams also represent the village. Barrie Bates, who was born in Bedlinog is one of the top darts players in the world. 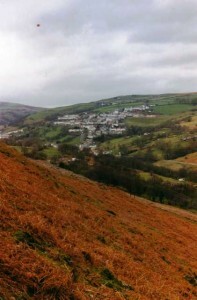 Finally we see a shot of the village from the opposite mountain taken in 1998. The industry has gone from the vallry now and the adults have mainly had to seek employment out of the village.